Tiny homes and apartments have been gaining a lot of popularity in the last few years. Other than being super cute, tiny homes are unique in the way of using less energy and less natural resources. Many tiny home builders use green methods of building and products during construction. If you are planning a tiny home remodel, here are a few great tips. When you’re living in a space of less than 500 square feet it is important to use all of your space efficiently. If you don’t already have your bed lofted, then what are you doing? And how are you living in less than 500 square feet? Your bed is a place where you will never need to be standing up, so it only makes sense that you would put your bed at the top of your home. One great thing about lofting is, you can loft just about any size bed. Whether you have a twin, full, queen, or king, go ahead and hoist it on up. Before you loft your bed, consider how you will get up there. Make sure you have enough room to put a ladder or better yet, a dresser that doubles as a ladder. 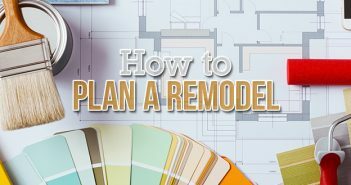 Always plan ahead when you are building or remodeling a tiny home or apartment. If you really want to make your tiny home or apartment stand out from the crowd, the kitchen is a great place to start. Think about glass kitchen cabinets, so it is easier to see what you have in each cabinet. Floating shelves can also work really well in the kitchen in place of cabinets or they can be used as a way to keep stuff off your counters without taking up too much room. Natural lighting is important in any home but it is especially important in tiny houses. Large windows above your lofted bed or in your living room can make your house feel larger and more open. The large windows will also allow for more natural lighting to come into your house than usual which will help to lower your electricity bills and overall energy usage. Sunlight has many beneficial health effects on the body as well, it can increase your level of endorphins and serotonin in your brain. The ultraviolet rays in sunshine act as a natural antiseptic and can help prevent diseases such as osteoporosis. It is important to position your home in a way to get the most sun. You should always face the longest side of your home pointing south, because this way it will receive the most sunlight. The unfolding apartment designed by Normal Projects takes one wall of a small 450 square feet apartment and turns it into a bed, a nightstand, a closet, a home office, kitchen storage and most of the lighting for the room. Depending on the situation, you can unfold whichever part of the wall you need. This space saver design is great for tiny homes and apartments plus it would make a great tiny home remodel. Tiny homes and apartments are definitely on the rise. According to U.N. experts, by 2050, 70% of the world’s population will live in cities. With more and more people moving into cities, micro apartments will become more abundant. 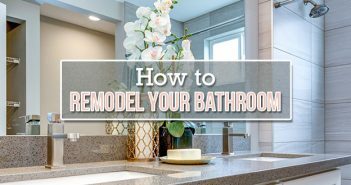 If you are ahead of the trend and are looking for a few great ways to update your tiny home or apartment, I hope these tips for a tiny home remodel will help. Do you have any other tips for remodeling a tiny home or apartment? Leave us a comment in the section below. 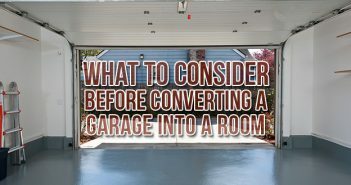 Thanks for reading our blog and feel free to browse our entire site for other DIY and Home Improvement projects, green living, and sustainability news.